Syringes, cowboys and Kylie: why are we fixated with lip fillers? | SHEmazing! Syringes, cowboys and Kylie: why are we fixated with lip fillers? One glance at social media proves that aesthetic surgery is on the rise in Ireland, and a set of perfectly pouty lips is the most covetable of all qualities. 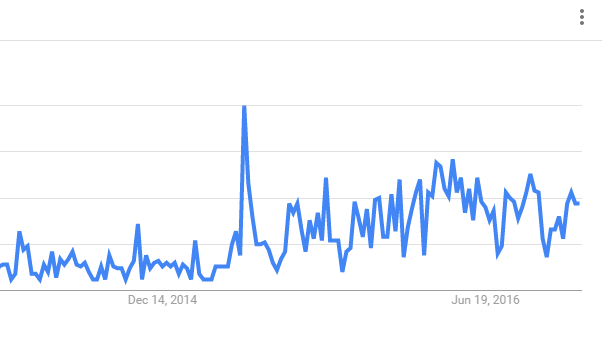 Social media saturation, reality TV super stars and selfies are all being blamed for the trend, which has seen a massive spike on Irish shores according to Google trend data. High maintenance glamour is considered mandatory by some, with hair extensions, microbladed brows, eyelash extensions and lip fillers accessorising the perfect designer it-bag. The trend skyrocketed in early 2015, just after cosmetics queen Kylie Jenner admitted to her penchant for the procedure. However, the current obsession with lip fillers is not limited to a niche market. Indeed, women from all walks of life, from nurses and models to CEOs and students, are all opting to get in on the trend, but it's particularly widespread among younger Irish women. Amanda Holtz, an American student studying in Dublin, is curious about trying lip fillers for the first time. "I think I've always been a little self conscious about my lips. Not that they're weird looking or anything but because to me they aren't perfect," she says in conversation with SHEmazing! Citing social media, she adds: "On Instagram everyone seems to be having a bit of work done, it's almost beginning to seem like the norm in order to be beautiful. There's this idea of beauty and it's difficult not to compare yourself to that." 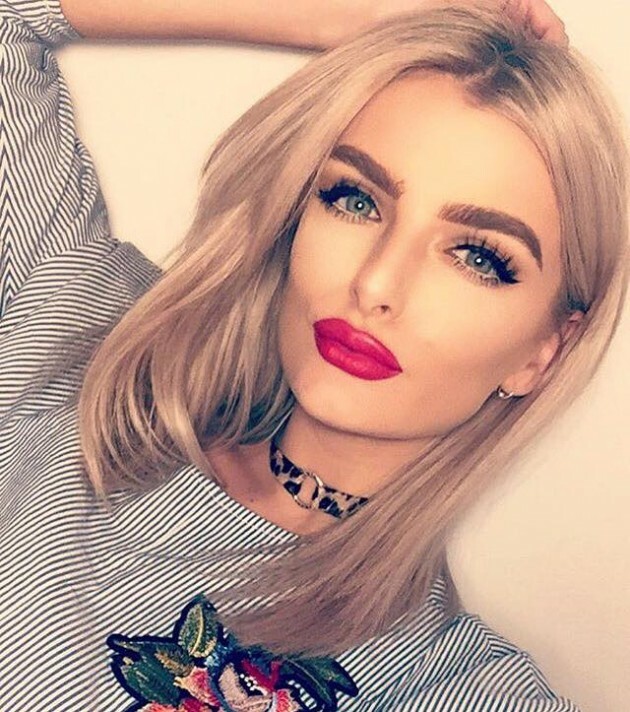 "I do find myself being bothered by my thin lips and I know that I will end up trying lip injections especially because I feel that they are just a little change that could make a big difference to my confidence. And if I end up hating it, they only last a few months anyway!" While Amanda is optimistic about perusing a procedure, extensive research is necessary in Ireland as the process is unregulated. So-called 'cosmetic cowboys' have sprung up all over the country, administering fillers with little to no experience. A quick Google search shows that purchasing the liquid filler and corresponding medical needles and cannulas is just the click of a mouse away. Some of these individuals rent out hotel rooms to administer the fillers, and as Irish suppliers will only sell to registered doctors, nurses and dentists (not beauticians) there is no way of knowing what the product is or whether the person wielding the needle has any experience whatsoever, as there are no regulations about who can perform the procedures. April Kavanagh, the trained nurse behind NurseCare Aesthetics, admits that "unfortunately the process is mostly unregulated." "It angers me that people who aren't medically trained don't know what can go wrong with these procedures. I have had to correct lips that are the result of unethical prctice." "Too much product injected into the lips can cause more swelling and can cut off the blood supply to the lips and compress nerve endings, causing permanent damage. It's someone's face at the end of the day." A main artery runs through the lips, and if filler is injected in to or around the artery, it an cause a very serious complication called an occlusion, where the blood flow is reduced or completely stopped. "The area of skin or other tissues that are supplied by the affected vessel will start to die without the necessary blood supply," says cosmetic specialist site Real Self. I'm seeing so many people on my FB getting lip filler done really badly so their lips end up lumpy. One woman who knows all too well the effects of a poorly done procedure is Claudia McGloin. Claudia had some fillers done four years ago which left her with lumps in her lips that would not go away. Since opening her own clinic, The Claudia McGloin Clinic, in Co Sligo, she has moved on from her "botched" job and now specialises in Dracula therapy. She has witnessed the increase in interest in the area, and warns against viewing lip fillers as anything less than a medical procedure. "Because fillers are available in beauty salons and hair dressing salons, it makes it look like these are beauty treatments when in fact they are medical procedures," she said. "Cheap deals using cheap fillers also make it look affordable. Research tells us that women particularly after a break up go through a transition. Years ago it was a hair-cut or colour but today it's cosmetic surgery." "In Ireland there are no regulations and unfortunately no rules which state who can and who cannot inject fillers. It is however illegal for anyone in Ireland other than a doctor to inject Botox so we should have broader regulations in place to stop ‘just anyone’ injecting." "It's scary the number of non-medics in Ireland injecting at the moment and it's increasing by the week." "I'm highly involved in Patient Safety in both the UK and Ireland and am constantly campaigning for regulation," said the nurse, who was recently awarded the Highly Commended Nurse of the Year 2016 award for her dedication to safety in beauty. Through her work, Claudia has heard horror stories of cheap filler procedures, with some unregulated places even offering to split a syringe of filler between two people. "This is unsafe, unethical and unprofessional. A syringe as clearly stated on the box from the manufacturers is for single use only. It doesn't matter if it's your mum you're sharing with – it's wrong!" "Practitioners should also be insured and you should be able to see certificates of training and updates. Always ask questions. Ensure you see the filler coming out of a new packet," said Claudia, who has set up a campaign to educate people on making safe, informed decisions when it comes to cosmetic procedures. Nurses should be registered with the Nursing And Midwifery Board Of Ireland (NMBI), dentists with The Irish Dental Council (IDC) and doctors with the Irish Medical Council. April, of Nursecare Aesthetics, turns away young girls everyday who come to her practice brandishing photos of Kylie Jenner's Instagram. "I have absolutely turned away clients who want work done for the wrong reasons. Some people come in for a procedure, then call me up two weeks later looking to get more," she tells SHEmazing! "They absolutely have unrealistic expectations because of Kylie Jenner, They come in looking for a half ml of filler expecting to look bee-stung. Half a ml is one tenth of a Calpol spoon." With the youngest Kardashian-Jenner championing the trend, after getting her lips plumped at the tender age of 16, it's no wonder that young girls are seeking out the procedure. After the teenager altered her features back in 2014, the popularity of the procedure boomed, with one Irish aesthetician going from doing one procedure a month to 20 per day. 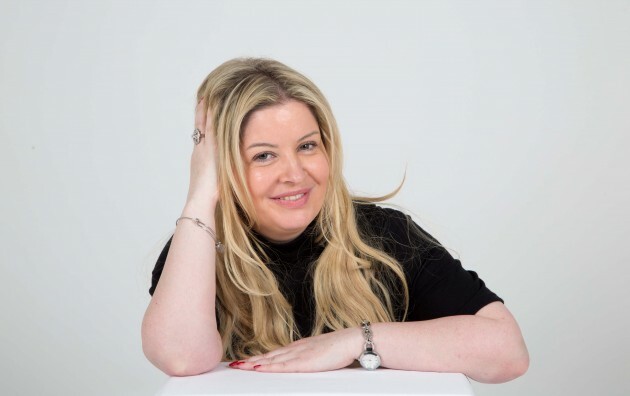 "I've heard of people as young as 14 getting them done," revealed aesthetics veteran Kerry Hanaphy, who has completed an estimated 100,000 procedures on Irish women in the last 12 years. While some of us were lucky to get our nails manicured for our Debs, lip fillers are now regularly on the beauty list for young girls on the brink of leaving secondary school. "The legal age is 18, but I get emails from underage girls, 17, everyday saying the have their mum's consent. I turn them away," said the clinician, who also cites reality stars like Megan McKenna and the Geordie Shore girls as major inspirations for the trend. "Over the last 18 months because of the lip filler trend they have become 80 percent of my business. I do 20 clients a day and I could do more, but I cap it at that." "You have to have someone say to young people enough is enough." "One girl, she said she doesn't care what she looks like in real life as long as she looks good in a selfie." Kerry, who fills the lips of some of Ireland's top bloggers such as Ashley Kehoe, urges people who are considering the aesthetic tweek to do their research. "Question the qualifications, ask who is doing the procedure, what they are putting in and where they are injecting – it's where the filler is that's key." Irish super model Tiffany Stanley also spoke to SHEmazing! from her home in California, where she moved in 2013, about how casual the procedures have become. 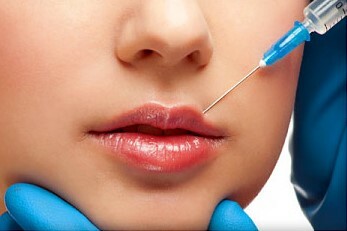 "Lip fillers are very popular in LA. Even the majority of men here get them done. It's nothing unusual and it's not even a topic people talk about, it's just a normal part of most people's beauty regime, like getting a facial or manicure," says the Kildare native. "The trend has hit Ireland now too, women want to look and feel their best. If it helps a woman feel more confident and empowered , I see no problem with it. I think Kylie Jenner's transformation really inspired a lot of people to try fillers. She looks amazing," said the model, who has been working in LA since landing a role in the Hollywood film Brothers James: Retribution, and has previously had some filler work done on her chin. While fillers have gotten something of a bad wrap lately thanks to their popularity and lack of regulations, they are at the tamer end of the cosmetic stratosphere. There is no aesthetic involved and the results fade after three to six months. "Lip fillers are not a bad thing," adds Kerry Hannaphy, who has worked on numerous clients looking for a subtle improvement in lip volume or symmetry. "I've had numerous emails about how it's improved the confidence of people, they feel so much better about themselves and they don't feel so depressed." "It's aesthetics, so you look better, it's not about changing your features."